When sleep issues arise, there are often easy fixes – given that they are not being caused by a deeper, chronic condition. I’ve included some of the top homeopathic insomnia remedies below. Aconite: Have you recently been exposed to a cold, dry wind? This is the most typical trigger for an aconite state. Especially the kind of cold that comes on suddenly, and unexpectedly, like at the change of seasons. While aconite is a common remedy for many cough and cold symptoms, it also addresses a specific type of insomnia. The Aconite insomnia is extremely restless, and may even feel anxious. The fast pace in denser urban centers may also create an aconite state in your nervous system. Tossing and turning, and even bad dreams may fill your night in this state. Around the hour of midnight is where you may feel some of the worst of the aconite state expressing itself. Arnica: A classic arnica situation is one where the day and night schedule has been turned upside-down, as in shift work. Especially if you are on rotating shifts from one week to the next. Even if you’re now on day shifts, the old night shift disruption to your circadian rhythm will often be retained as a cellular memory. Shock can also be a primary trigger for an arnica state. This can be either from being directly involved in a car accident, or just witnessing one. Any form of physical or emotional shock will trigger an arnica state. Sleep is not restful, and the bed may even feel too hard to be able to get comfortable. Chamomilla: In one word, the chamomilla state is ‘fussy’. Your partner may be feeling fed up with your ever-changing demands, when in this state. You might feel sleepy in the evening, but then suddenly wide awake once you go to bed. The trigger for this state can be physical pain, such as from a recent injury, or from menstrual cramps. Restlessness and complaining are the top characteristics. This state may be triggered by a recent troubling emotional event, which is not easy to let go of. The characteristic feeling is “I want something, but don’t know what…”. Coffea: The keyword for coffea is ‘overstimulation’. It could even be the case that you’ve had too much coffee today, and now can’t wind down for sleep. Coffea is the remedy you need. Similarly, you may have been watching over stimulating TV shows before bed, or gotten embroiled in a heated debate on social media. Just recall the buzz you’ve ever had after drinking too much coffee. Anything which simulates this experience qualifies you for a dose of homeopathic coffea. Nux Vomica: is for what I call the ‘jack in the box’ syndrome. You’ll fall asleep for a spell of time, but then keep popping back up all night long. There’s hypersensitivity to noise, and just about anything else will keep waking you up. Chances are that you’ll wake with a fully formed to do list in your head. This state is an unfortunate reality for many who have to take their work home with them, and effectively always feel ‘on call’ like an ambulance driver. The “off switch” has been deactivated in the nervous system. As I mentioned above, the correct homeopathic remedy can put an end to your insomnia rapidly – given that there isn’t a deeper, chronic health issue that needs to be addressed. 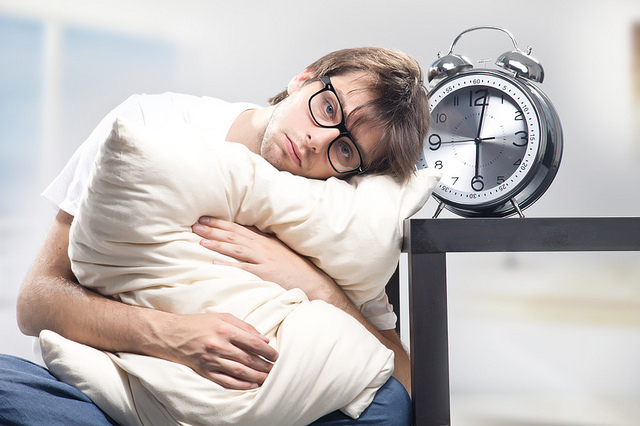 If it’s hard to match your insomnia picture to one of the descriptions above, then you may need a more comprehensive assessment for your condition. 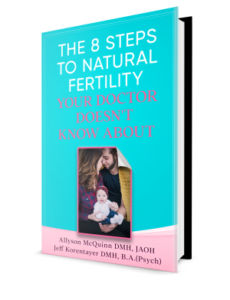 This topic is further expanded in Step 6 of The 8 Steps to Natural Fertility Your Doctor Doesn’t Know About. « Living Organic, On The Cheap!